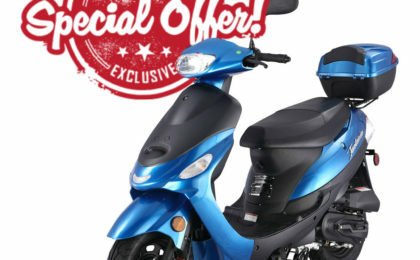 The Taotao Evo 50 scooter offers a modern elegant design with a sporty look. 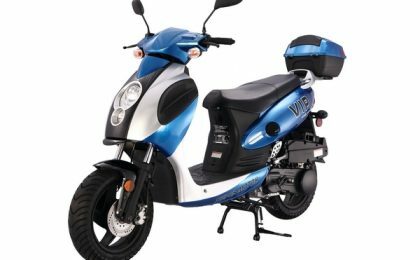 The scooter is powered by a heavy duty 50cc, air-cooled, 4-stroke engine to guarantee good power for acceleration while keeping a good gas mileage. 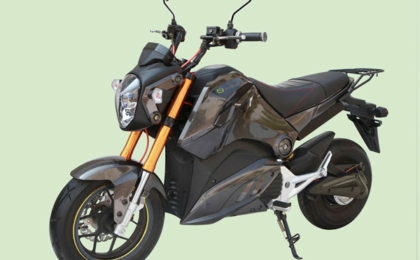 The scooter also equipped with electronic starter, a high performance exhaust, dual stage paint and decals, halogen bulbs, high quality seat, and underseat lockable storage compartment.The Evo 50 is the perfect choice for those who value size more than anything and who are looking for a fuel efficient reliable way to get around Miami Dade county or Broward County. 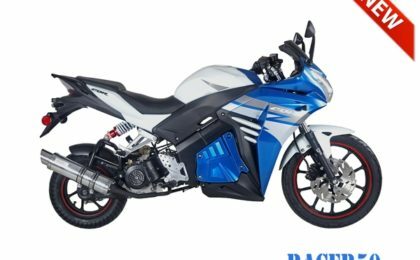 This affordable scooter is one of the biggest 50cc scooters in its class. 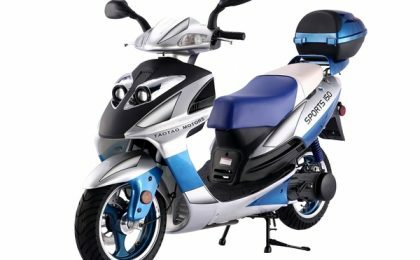 Comfortably seating two people, the TaoTao Evo 50 is the size of a 150cc scooter, yet, it still gets up to 115 mpg for a great fuel efficient way of getting around the Miami or Fort Lauderdale area. 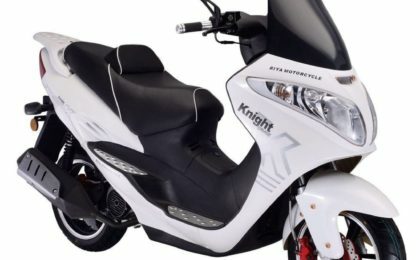 What better way to enjoy South Florida than on this big body 50cc scooter? Whether you take to win Down Town Ft. Lauderdale are take it to South Beach on the weekend, this is a great way to get around while still being cheap on gas.